Well, okay. I was a little disappointed at first. Truth be told, I was looking for stories of drug-taking and depravity. [It did lead me to further research into the hippie phenomenon, in other books. The result? I was already familiar with most of that stuff! It’s been exhaustively documented, championed, mystified and rehashed. Still, this book drew me in. 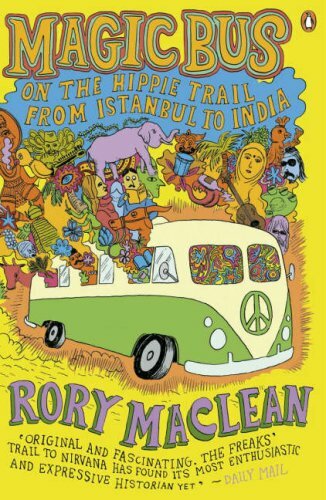 I was rewarded with a thoughtful, insightful analysis of the cultural impact the hippies had on the countries along the ‘Hippie Trail’; indeed, the wider impact of Western mores on these societies. Fascinating, vital and timely – a lot of this history and perspective would’ve been lost, without this book. I think it’s good sociological reportage. My compliments and thanks to the author for having the courage to address this story without rose-colored glasses. milk. And if you overindulge at some point.